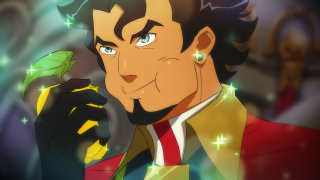 Battle Chef Brigade is an odd mix of at least three different genres: a match-three puzzle game, a fighting game, and an RPG all rolled into one. But, much like on the cooking-competition shows it's inspired by, these unexpected ingredients come together wonderfully. I got a chance to play Battle Chef Brigade at PAX East today, and it was surprising how well the different elements come together. You can watch the video above to see to for yourself, and hear from President of Trinket Studios Tom Eastman about how they went about balancing the different ingredients of the game.